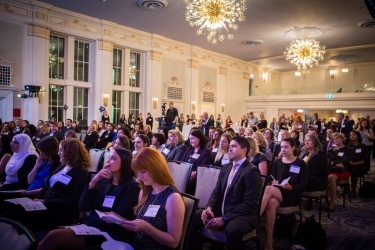 Bigger and better in 2017, this celebrated event took place at the beautifully restored Crystal Ballroom at the prestigious Omni King Edward Hotel in Toronto. 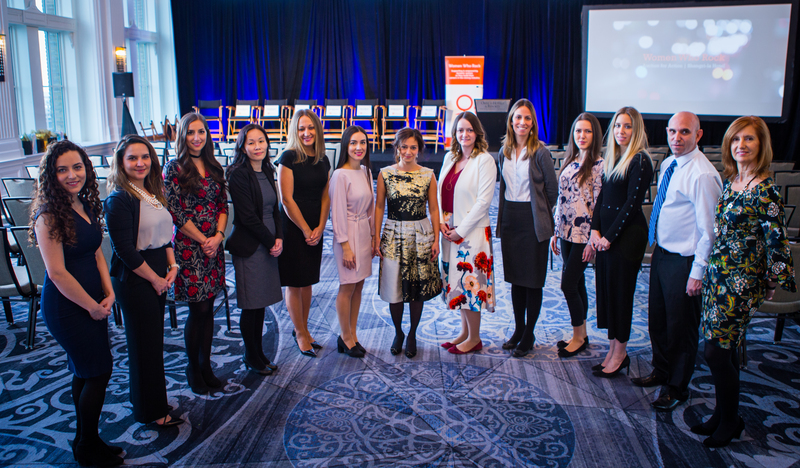 The annual auction provided an unparalleled opportunity for female professionals to bid on a one-hour mentorship meeting with a group of influential CEOs and CFOs in the mining industry. Once again, we had a stellar line up of mentors. Men could also bid as long as they nominated a female colleague or a selected female student to be the recipient of the mentoring meeting. Striving for continuous improvement to the mentorship experience, WWR introduced a new opportunity – The Mentor Circle. The Mentor Circle is a group mentorship experience for two to three mentees to meet with a leader in the mining industry. As with the live auction, a winning bid entitled the mentees to one-hour of mentorship time with the mentor. In another first, men were allowed to bid and participate in the silent auction for the Mentor Circle meeting. Could your LinkedIn profile use an update? Looking to be seen in a new light? We understand that first impressions are important which is why this year’s event featured a LinkedIn Photo Booth. With good lighting, professional guidance and a Women Who Rock backdrop, guests were set to get a professional headshot for their online networks. The photo booth was open for the duration of the evening and guests had a chance to print and email their new photo. A pair of beautiful coveralls generously donated by Covergalls. Auction proceeds support Mining Matters, a charitable organization dedicated to bringing knowledge and awareness about Canada’s geology and mineral resources to students, educators and the public. The organization provides current information about rocks, minerals, metals, mining and the diverse career opportunities available in the minerals industry. Paula Albiani, Director, Business Development at Stratum Advisory Group Inc.
Monica Ospina met with Rob McEwen, Chairman and Chief Owner, McEwen Mining Inc.